FULTON, IN. 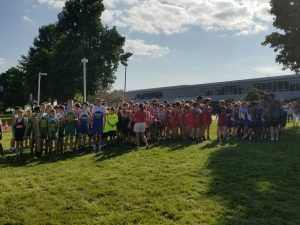 – The LaVille High School and Junior High Co-Ed Cross Country program will travel to the annual Caston Invitational. The event will be September 1 at Caston Jr-Sr High School. The junior high girls race will begin at 9 a.m., with the junior high boys event to follow at 9:30 a.m. The high school girls run is set to start at 10 a.m., with the high school boys race to follow at 10:30 a.m. The awards program is set to start at 11:45 a.m. near the football home bleachers.